We got to know Phil during the building of our first Warwick 55 Shahtoosh – successfully delivered in 2001 and cruised/campaigned for over 10 years. Entrusting Phil and Sandy of Aquamagic Yachts Limited with our new Warwick 75 project seemed the logical thing to do – and we were returned the favour of witnessing a second to none understanding of what it takes to bring a small custom-designed super yacht construction to a level exceeding our expectations. In-depth knowledge of the various trades involved – being able to attract the right subcontractors – with an understanding of Owner expectations is the right mix to bring a complex project such as Shahtoosh (75) to fruition. The end result is there to show. We obviously would recommend Aquamagic Yachts Limited to any potential client expecting the same high standards. 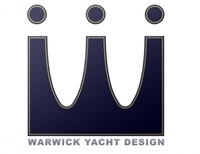 Having built several yachts with the famous Salthouse Yard under Philip's control in the 80’s and 90’s and up to 2005, it was a natural progression for Warwick Yacht Design to utilize his wide skill base in a project management capacity. His knowledge of all facets of the industry makes him a valuable asset in interpreting those personal touches for our growing list of International clients. We fully endorse Philip Salthouse of Aquamagic to customers contemplating a new build. Phil Salthouse has been an excellent asset in helping me take the necessary steps to make Ariana fit for offshore work. He is my eyes and ears overseeing our boat and all the work that has been performed. His knowledge of the many details related to vessel construction along with his years of experience in operating a vessel makes his input and advice invaluable. Phil is exceptionally trustworthy and I recommend him without hesitation. I have known, and worked collaboratively, with Phil Salthouse since 1992, firstly when he managed Salthouse Boatbuilders, Greenhithe, and more recently in his marine consultancy business. I have marketed and sold internationally several Salthouse built vessels in the 60ft to 80ft range, both power and sail. These build projects had been personally managed by Phil and the vessels were built with the integrity and finish quality that I would call “Superyacht Standard”. I would use this same term to describe Phil’s approach to any marine project, and his personal ethos as “Superyacht Standard”. More recently my work with Phil has involved survey and refit projects where his immense experience in both wood and composite materials and his problem solving abilities, have proved invaluable to my company and the boat owner. I know these skills, along with Phil’s personal integrity and his ability to communicate, would be extremely beneficial to an owner undertaking a new vessel build or major refit project. 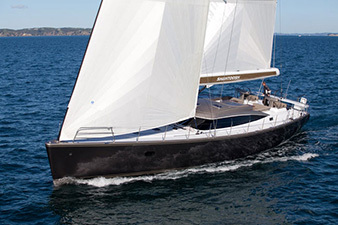 I have no hesitation to recommend Phil Salthouse as a professional in yachting – not only as a boat builder with a lot of common sense, practical experience in all areas of a yacht – but also as a boat handler – as proven on the many regattas he has been sailing with me – some quite successful indeed – such as the 2004 Raja Muda off the Malaysian Coast. Performing always with a smile – and pushing everybody at the right moment – he is also a good team member – a pleasant person to have around.